We always knew Sonos would come out with a smart speaker. The company has positioned itself as a technological trailblazer and smart speakers are right on the bleeding edge. 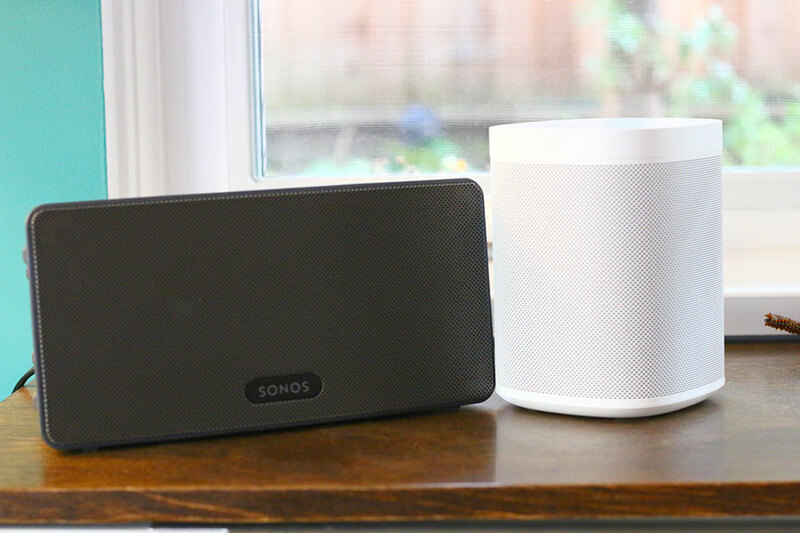 The problem is, having spent a month with the Sonos One, we couldn't shake just how familiar it was. In this review, we break down the Sonos One's sound, design, packaging and accessories, specs and more. To see how it stacks up, check out our list of the best smart speakers. 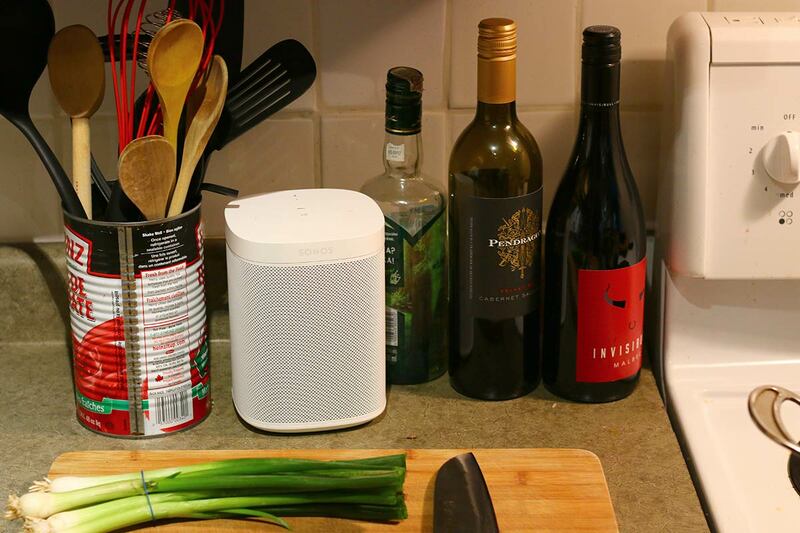 The Sonos One smart speaker has plenty to recommend it. It has a great setup process, a solid sound signature, and sturdy build quality. We'll get to those in due course, but right now, we want to talk about how it approaches being a virtual assistant. Presumably, that's one of the main reasons you'd buy this speaker - so let's get right to it. The One ships with Amazon Alexa – by far the most widespread virtual assistant available. Sonos have promised Google Assistant inclusion at some point, but at the time of writing, that hasn't happened yet (if you want more information on the differences between the various smart assistants, and what they do, check out our list of the best smart speakers of this year). For now, it's only Alexa. You can turn the speaker's microphone on and off using the touch control on top, and you activate the smart assistant with a simple mention of "Alexa". The speaker will give an encouraging bleep, and then you can issue whatever command you choose. For the most part, this works well, but one of the things we got annoyed with was just how sensitive the microphone was. The virtual assistant would trigger at odd times, such as when one of us coughed, or said a word that had only a passing similarity to the word "Alexa", like "breakfast". It's as if the Sonos One was a little too eager to please. When we did actually want to do something, we often had mixed results. A lot of this was down to the quality of Amazon's smart assistant, rather than the Sonos speaker itself. 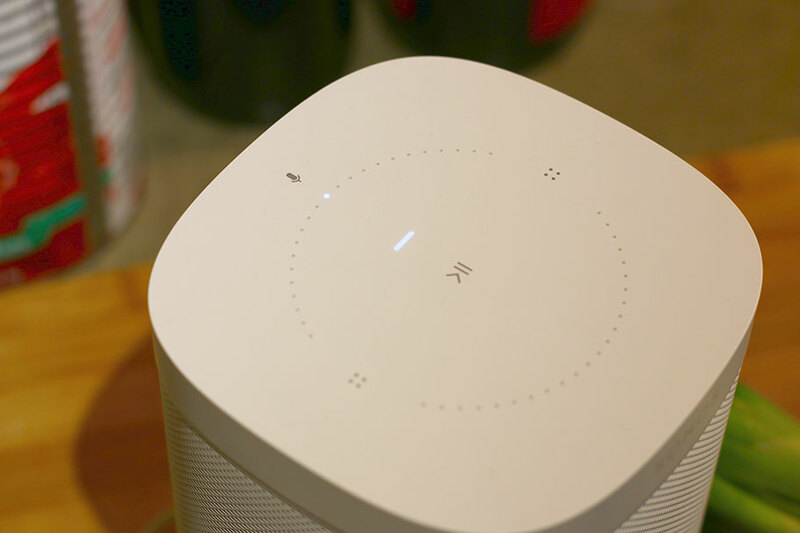 The assistant is, after all, available on a wide range of speakers from several different manufacturers, so consider what we say next as a comment on Amazon, rather than Sonos. Because here's the thing: Alexa is as dumb as rocks. It really is. If you want it to do simple things, like setting a timer, skipping a track, telling you the weather, or reading you a calendar entry, it's fine. But ask anything complicated, or pose a follow-up question, and it won't have a clue what to do. We lost count of the number of times we got frustrated, and ended up using our phones instead. If we were ranking smart assistants, then Alexa falls way below the reasonably intelligent Google Assistant, which is still the best out there. If you want a speaker that takes advantage of that, check out the Google Home (full review here), which also costs $179. You do lose out on some decent sound quality with the Home, but you also get to take advantage of a better virtual assistant. The truth is, we quickly stopped relying on the One as a smart speaker. One of the interesting things about working at TMS is the constant parade of smart speakers through our offices – it's one of the product categories we test the most. What that means is that there are almost always multiple smart speakers in our homes. 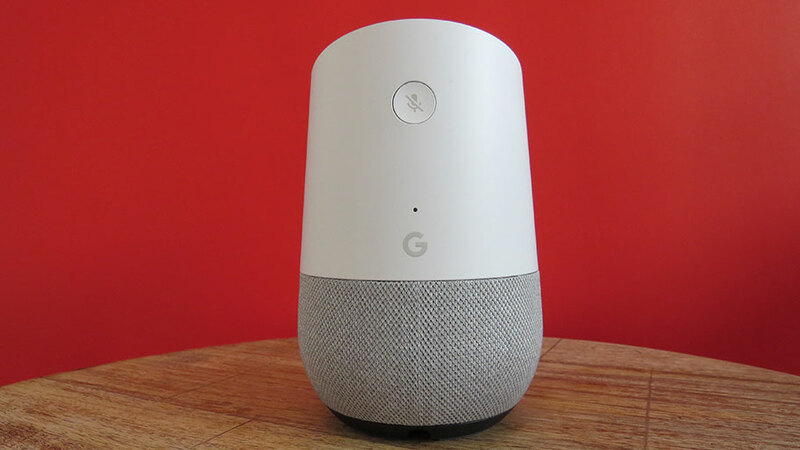 And while we were happy to use the aforementioned Google Home or even the superlative Apple HomePod (full review here) on the day to day, the One stopped being our first choice as a smart speaker, in comparison to the much more reasonable models. We never stopped using it completely – as you'll see below, it has plenty to recommend it beyond its "smart" capabilities – but we genuinely think that the upgrade to Google Assistant can't come soon enough. It would make the speaker much more useful. One thing that Sonos has always excelled at is delivering good sound for a reasonable price. Their Play:3 (full review here) remains one of the best wireless speakers available, despite being a little old. For a $179 speaker, the One has delivers very reasonable sound quality Even if you quickly abandon the virtual assistant, as we did, you'll still end up using the One for music. Most of its energy feels concentrated in the mids and the highs. It manages to deliver a decent amount of detail without ever being fatiguing. Although we detected a little bit of fudging at high volumes, we never felt like we were losing out on things like vocals, or high-pitched instruments like strings. There was a satisfying robustness to the mids, in particular, with the sound that felt perfectly balanced between neutrality and warmth. Bottom line: the One sounds damn good for the price, especially when compared to other leading wireless speakers. Compared to the similarly-sized Amazon Echo Plus (2nd Gen), you'll hear a big difference. The Echo Plus may be a little cheaper, at $150, but there's a major downgrade in sound quality. As a speaker for the living room, or kitchen, the One is an excellent option. It's not all gravy, though. The marketing copy for the One may boast of a pair of Class D amplifiers (here's what those are) and custom-built drivers, but we do wish that they'd spent a little bit more time on the bass. At moderate volume, it feels fine – a little dull, perhaps, but still doing its job. However, if you turn up the volume, you'll quickly find that the low-end gets muddy and vague, losing a large amount of punch. We found that mildly disappointing. It's not that we expected the One to match the bass of something like the $2,990 Devialet Gold Phantom wireless speaker (full review here), but we were expecting a little bit more clarity. $200 is not a small amount to pay for a speaker, and we do feel like they could have been a little more work done on the lackluster low-end. It's additionally frustrating because this is a problem shared by the One's predecessor, the $149 Play:1, which has an almost identical design and driver complement (more on this below). To our way of thinking, the One represented an ideal opportunity to tweak the sound a little. But if this happened, the end result is a very good. As a whole, the sound quality of the One is decent, but it's definitely deficient down low. One feature we sadly didn't get to test is the ability to pair two Sonos One speakers, to create a stereo setup. We would have loved to report back on this, but unfortunately we only had a single speaker to test. However, we can say that those we've spoken to who have tested this said it worked well, and was relatively simple to set up. It also helps that, on its own, the soundstage of the Sonos One isn't bad at all. You definitely don't get the width and space that you would with a pair of bookshelf speakers, but it never felt like a serious issue. Many wireless speakers can sometimes feel a bit straightforward and dull. We had this problem with the $299 Bose Soundlink Revolve+ - a good speaker that suffers from a very narrow soundstage. The One, meanwhile, managed to generate a sizeable sweet spot, and didn't feel like it needed careful positioning to get the best sound. After the issues we had with the smart assistant and bass, we were pleased to see the speaker performing well in this department. One thing before we move on: you can also link the Sonos One to other Sonos wireless speakers using the app. That we did test, and it works seamlessly. Then again, as we explore more below, this is the kind of thing that Sonos are known for excelling at. 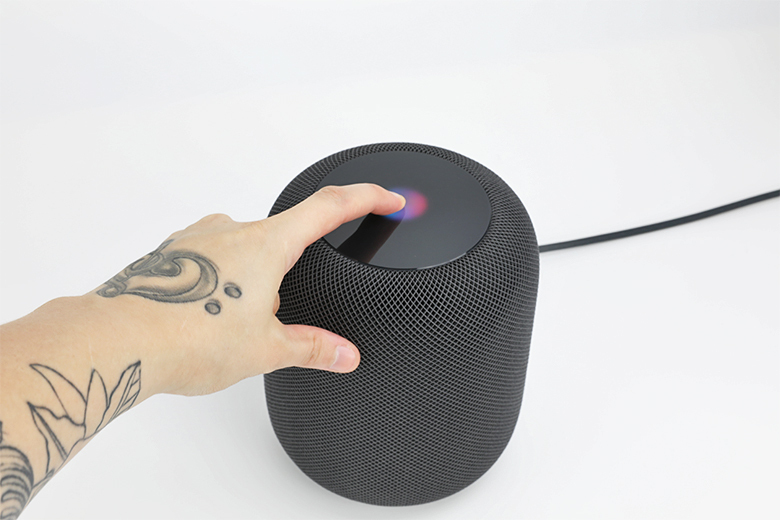 At the time of writing, all current Sonos One speakers come bundled with Apple AirPlay 2, which is the most effective way to transmit music from an iPhone or iPad to your speaker (you can read more about it here). The connection worked right from the get go – when we tested it using a friends iPhone, neither Apple nor speaker had any problems detecting each other. The Sonos One isn't exclusive to iPhone, by the way - it works just fine with regular Android phones, using your Wi-Fi connection. One of the best things about Sonos speakers is how many services work directly with them. You'll be able to select your One as an output device in up to 65 different services, including Spotify and Tidal, as well as services like Audible, Mixcloud, Bandcamp, and Mini Disco (don't ask us, our interest only goes so far). Rather than listing the range of services here, you can check out this comprehensive list on Sonos's website. We primarily used our One with Spotify and Tidal, and we never had any issues with detection or playback. Then again, the Sonos One comes close. You'll have to rely on two apps here: the Sonos app itself, which is as pleasing and intuitive as always, and the slightly clunkier Amazon Alexa app. This is because, in order to use the smart assistant, you'll need to sign into your Amazon account. While it isn't an absolute nightmare to go through, this twin-app setup process is still somewhat annoying, and may be more difficult for less savvy people. Fortunately, it doesn't take long, and we do need to stress that the actual Sonos app is a dream to use. Its intuitive layout, clear color scheme, and responsive user-interface mean it retains its title of Best App Ever. We absolutely did not just make that up right now. Here is our biggest problem with the Sonos One. If this is supposed to be the speaker of the future, then why does it look so much like the old Play:1? We are talking of virtually identical design. Yes, there have been some minor aesthetic changes, like a more uniform color, touch controls instead of physical controls, and slightly rounded edges. But for all intents and purposes, this is a Play:1 with smart functionality. Designwise, they are virtually identical. There's nothing inherently wrong with this. The design works well, and the build quality is solid enough that the speaker isn't going to explode if you accidentally knock it off the table. But it just feels a little bit lazy - like a sideways move, rather than a step forward. We are also not entirely sure why this smart functionality hasn't been added to other speakers in the Play range, like the Play:3 or Play:5. There is clearly a strategic reason for this, but right now, we would have preferred it if Sonos's design team had taken the design similarities into consideration. What's especially puzzling is that when they rebooted their old Playbar soundbar to give it smart functionality, the result was completely different to the previous model. The Sonos Beam sound bar (full review here) looks fantastic, and works well. Interestingly, the controls on the Beam are identical to those on the One. Let's talk about the touch controls for a moment. They are easily the best part of the One's design. They look great, are intuitive within a glance, and respond to the lightest of touches. A small sound effect and a prominent light make it easy to tell if the microphone is on or off, and playing, pausing, and skipping tracks is simple and straightforward. We really do wish that all touch controls could be as good as these. Once again, they show that when the folks at Sonos put their minds to it, they can make some genuinely brilliant things. 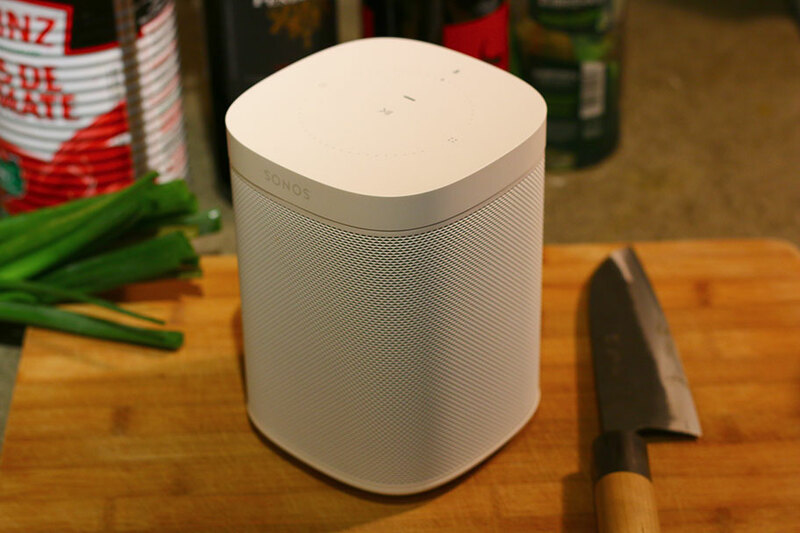 Since this review was published, Sonos have released the Sonos One (Gen 2). The release saw the price of the original Sonos One drop to $179, with the Gen 2 model sticking at $199. This review is for the original Gen 1 model. The differences? Not much, to be honest: the new model uses Bluetooth Low Energy, and has an upgraded chipset which will (we guess) eventually support Apple AirPlay 2. Beyond that, the two speakers look exactly the same. If you want to shell out the extra $20, that's cool, but you won't be getting a huge leap in power! The packaging for the Sonos One is simple and sleek: a cardboard box with the speaker nestled inside. It doesn't feel overly ostentatious, but it also doesn't leave us feeling shortchanged. As for accessories, you get nothing – and need nothing – beyond a power cord. We actually like how this accessory is implemented. Instead of a simple connection port on the rear of the speaker, it's actually on the underside. 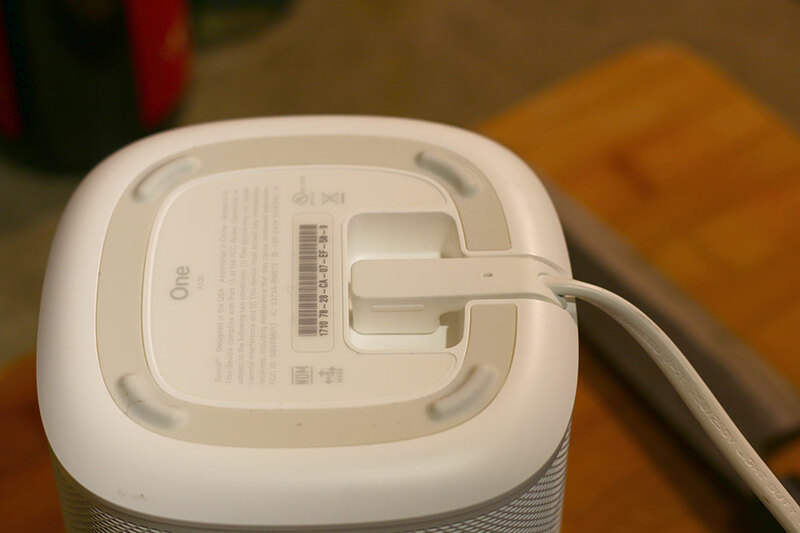 The power cord has a shaped connector which means it sits completely flush with the bottom edge of the speaker. That's really clever, and it makes a change from the implementation found in speakers like Ultimate Ears MEGABLAST (full review here). The Sonos One has solid sound quality, with great mids and highs. The One's touch controls work extremely well and are a joy to use. Sonos's app is one of our favorites, and setting up the speaker is a breeze. The Sonos One's smart functionality leaves a lot to be desired. The built-in microphones are overly sensitive, triggering the Alexa assistant even when we didn't want them to. The speaker's bass is flabby and unfocused, especially at high volumes. As you can imagine, the Sonos One has several competitors in its price range. At last count, we think there were approximately three trillion options. We'll try to stick to the most similar, and the first one that comes to mind is the Google Home. This is the middle speaker in the Home range, which includes the Home Mini, Home Max and the screen-based Home Hub. 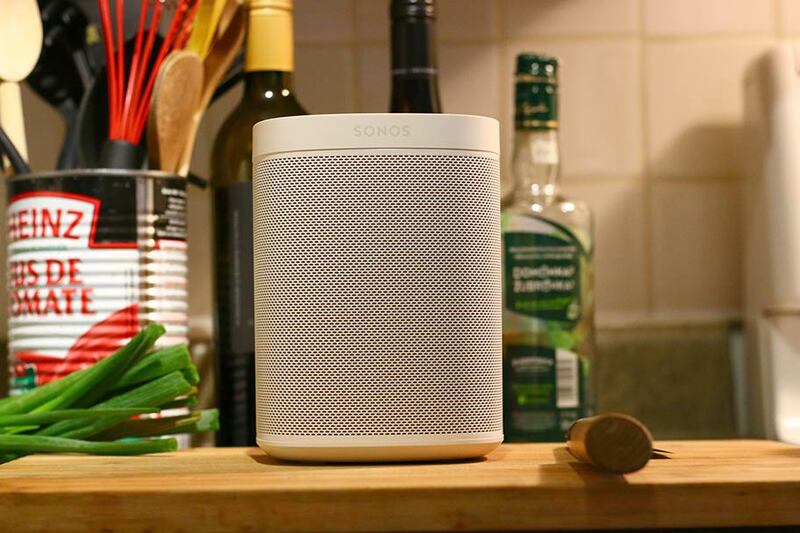 It's the closest in size and functionality to the Sonos One, so it's a good alternative. You definitely lose out on sound quality – the Home sounds a little bit weedy at the best of times. It's also no great leap forward in design, with its resemblance to a Glade air freshener, but what you do get is the Google Assistant, which is leagues ahead of Amazon Alexa. That means that the Home is a better option, if you're looking for something to use as a smart speaker, rather than simply as a machine to play music. If you want to stick with Alexa, but want a different alternative to the Sonos One, then we'd suggest going for something like the Amazon Echo Plus (2nd Gen). That speaker has passable sound quality, and is definitely superior to the previous version. It doesn't quite reach the heights of the Sonos speaker, particularly in the mids, but it manages to give a good account of itself all the same. Truth be told, we do think the One is a better option – whenever we used the Echo Plus, we found ourselves wanting the former's touch controls and superlative app. But if you're already entrenched in the Alexa landscape, this could be a viable alternative. If you're looking for a smart speaker that delivers on sound quality above everything else, then we strongly suggest you get what we consider to be the best smart speaker currently available. That's the Apple HomePod - a $349 speaker that matches fantastic design with truly unbelievable sound quality. The bass, in particular, really struck us. Its attention to detail and rich texture made it feel like it came from a much larger and much more expensive speaker. And while Siri isn't going to compete with Google Assistant, it's definitely on par with Amazon Alexa. The downside? You will need to have an iPhone or an iPad to use the speaker – it flat out will not work with Android phones.